SUPER-EXCELLENT LOCATION FOR INTERSTATE DEVELOPMENT- FAST GROWING AREA W/ NEW ELEMENTARY SCHOOL ACCROSS FROM SUBJECT PROPERTY & NEW LOVE'S TRUCKSTOP. HIGH TRAFFIC COUNTS SHOWING STEADY INCREASE EACH YEAR. POPULAR TANNEHILL STATE PARK EXIT AS WELL AS 50+ YEAR OLD MILLION DOLLAR LAKES SUBDIVISION. MIDDLE POINT BETWEEN B'HAM & TUSC. 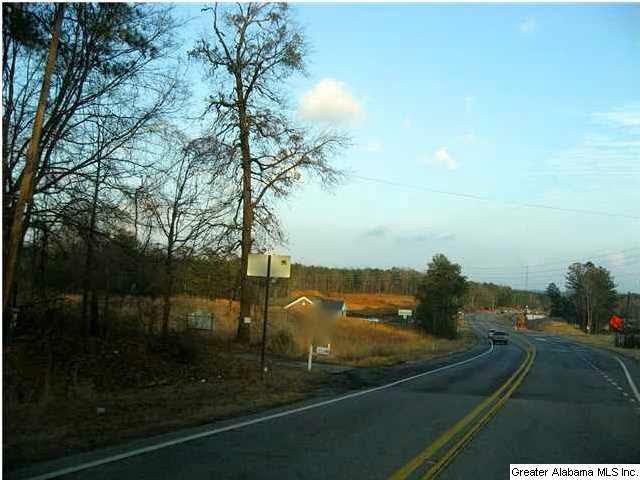 EASY DEVELOPMENT W/ NO ZONING OR BUILDING INSPECTIONS IN UNINCORPORATED TUSCALOOSA COUNTY. SEWER IS POSSIBLY AVAILABLE. APPROXIMATELY 900' OF FRONTAGE ON HWY. 216 & 400' ON GILBERT TOMMIE ROAD. PROPERTY IS TWO EXITS NORTH OF MERCEDES EXIT. ADDITIONAL PROPERTY AVAILABLE BEHIND BANK. OPEN TO SERIOUS OFFER. Listing provided courtesy of Rebecca & Company, Llc. © 2019 Greater Alabama Multiple Listing Service, Inc.